16 local families are very happy with their ‘amazing’ new homes in Rame. 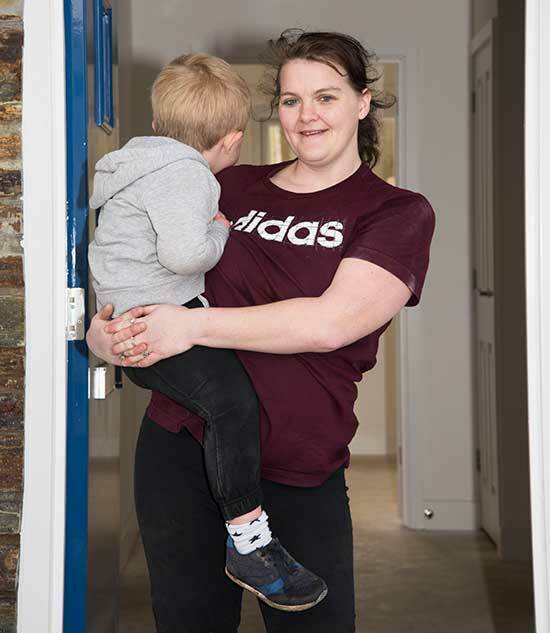 In February families moved into new homes at Park Pedrek and Park Wellain, Rame. The homes have been bought at a fraction of the market price, or offered for secure tenancy at an affordable sub-market rent thanks to the unique Community Land Trust Housing model. In order to qualify for the properties every one of the 11 new tenants and 5 purchasers had to prove a strong local connection. Mary Stevens and her 3 young children had been renting a small two bedroom flat in Cambornesince she had to move from her family home at Carnmenellis. She had been waiting more than 5 years for the chance to move back to the area she was born and brought up. We (CCLT) planned and delivered the project in partnership with Coastline Housing who will day-to-day manage the new homes. All homes have been built to high specifications, above the standards of most new build developments. They all have two allocated parking spaces, spacious gardens, under-floor heating and a large open community space.